ESL Authority is a source of in-depth information & guides for anyone looking to teach abroad. My first job out of college was teaching at a hagwon in the Mok-dong district of Seoul and I loved every minute of it. While not my first time abroad, it was an adventure in every sense of the word and still influences who I am, even 10 years later. A few years later, after returning to America and being overcome with wanderlust, I took off to China and spent just over 2 years teaching in Guangzhou. This post is an overview comparison of my time in both Korea and China to help anyone that's considering between the two make an easier decision - it's going to be broken up into salary, the overall job, and quality of life. China - the bare minimum any teacher should make in China (even in tier 2-3 cities) is 10,000 RMB and teachers in mega-cities like Guangzhou or Shanghai should push for a minimum of 15,000 RMB. With a bit of experience, this can bump up to 20k easily and provides quite a comfortable way of life. Related: How much can you earn teaching in China? Korea - Koreas ESL salaries are consistent to a fault and haven't changed much since I was there a decade ago. New teachers can expect to earn around 2.2 million won with the chance to increase that to 2.4 or 2.5 with experience. Related: How much can you earn teaching in Korea? Winner - China - as of 2019, there is far more opportunity in China to make good money - opportunities abound and the industry is young enough where there can be a significant salary range between teachers and even schools. China - teaching jobs in China are as varied as China is large - there are plenty of good and bad schools and a little research will go a long way to ensuring your land a good one. Overall, teachers in China can expect to teach between 15-25 hours a week with a few more hours added in for prep. If you are at a training center (aka a Chinese hagwon) then most of the hours will be at night or on the weekend, otherwise you can expect a normal M-F schedule. Korea - my job in Korea was hell - I was inexperienced, took the first contract offered to me, and ended up teaching 8-6 some days - it was rough. Still, not every job is like that and most teachers work a 9-5 schedule with 3-4 hours of teaching a day. Winner - Korea - if you know what you're looking for then good Korean jobs are much easier to find that good Chinese jobs. China - teaching English in China can be an adventure and not without it's frustrations - when you consider the spotty Internet, suspect air, and the difficult language it might seem like an uphill battle. Still, China maintains a much lower cost of living than Korea so if you can put up bad air days and not being able to access Netflix consistently you can live pretty comfortably. Korea - every time I return to Seoul Im impressed by the city and infrastructure and teaching in Korea can be a pretty easy transition for most westerners. However, you pay a premium for this kind of development and with seemingly stagnated salaries the costs of living a comfortable life can pile up. Winner - Tie - if you're solely focused on money Id recommend China where earning potential is pretty much uncapped. However, if you want a more consistent lifestyle and are willing to pay for it then Korea wins hands down. That's it! I hope this overview provides some insight into the pros and cons of teaching in both countries and makes choosing between them a little bit easier - good luck! 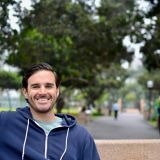 Quincy is a former ESL teacher and the founder of ESL Authority - he's passionate about strong coffee, IPAs, and solo travel.